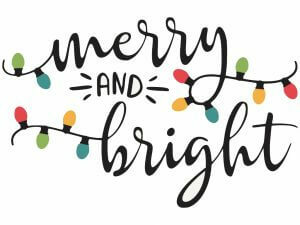 The chorus of the classic song “White Christmas” includes the line, “May your days be merry and bright!” For believers, Christmas should be an especially merry and bright time of year. All around us people are celebrating the birth of our Savior. Though our culture may not be consciously celebrating Jesus Christ, this is the only time of year that it’s the norm to hear the gospel rich lyrics in shopping centers and grocery stores. For a season, the message of Christ permeates our ordinary daily commute of life like at no other time of year. If anything should make our days merry and bright, it’s more of Christ! A merry heart is a good thing and grace shapes merry hearts. When the light of Christ shines on us, we can’t help by be bright and merry. Mary had great joy in carrying God’s Son, but there was also a roller coaster of emotions. Simeon waited his entire life to see the fulfillment of God’s promise and when he did, he was at peace.